The abundance of great, varied, and inexpensive wine is a major reason to live in Portugal. There’s something for everyone here, much of it affordable, and plenty worth storing for a special occasion. And some are Portuguese originals, such as the fortified port wines and the playful, crisp, and slightly bubbly vinho verde. 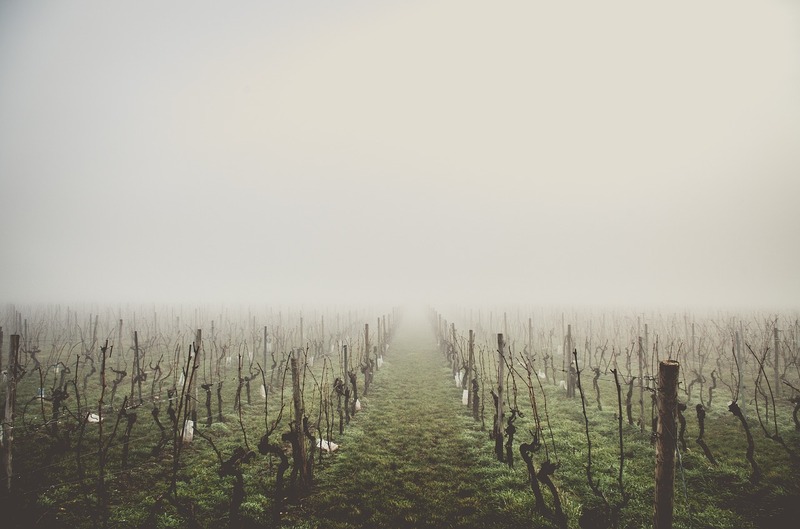 The most commonly found wines come from Douro, Alentejo, and Dão, but that’s just three of the country’s dozen-plus wine regions. Here’s a little primer on reliable Portuguese wines you can snap up for under 10€ at most wine stores or grocery chains. Even those who think Portugal is part of Spain seem to at least know about port, typically served as an aperitif or for dessert. All port comes from the Douro Valley up north near Porto. We’ll keep these for the end. Douro is home to some of the oldest vineyards in the world, dating to the Roman Empire, so the region also produces noble non-fortified wines, many of them international award-winners. The Touriga Nacional grape in particular gives red Douro wines a refined character, and several of the pure Tourigas are some of the finest wines we’ve had. The region’s entire offering tends to be thoughtfully crafted, dependable, and rewarding. When in doubt, basically, get a Douro. This goes for both red and white wines. There are plenty of very good ones for under 5€ at most groceries and wine stores, including the ever-present Esteva and Evel, as well as Porca de Murça. For something finer but still under 10€, try one of the reservas by the above producers, or go for Assobio, Duorum, Papa Figos, Cabeça de Burro, or splurge on a bottle of Duas Quintas, sometimes sold for 10€, sometimes for 13€. The flat, dry Alentejo, always hot in the summer and brutally cold in the winter, is the agricultural backbone of Portugal. It produces tons of inexpensive, usually bold, sometimes pugnacious wines. They’re increasingly popular all over the country and abroad, but are a little trickier. Some are outstanding and many are drinkable, but unless you know what you’re doing, you could end up with a lot of leftovers for cooking. We have three opened Alentejos next to the vinegar right now. But don’t be afraid to try them. Alentejo is ground zero for Portuguese experiments in wine production, and many once-horrible wines have been refined recently to compete with the good Douros. The basic Borba, Ravessa, or Reguengos will do in a pinch if you only have 3€. Better to add a euro or two and go for a reserva or a Monte Velho. For between 5€ and 10€, you can’t go wrong with Marquês de Borba, Ravasqueira, or Dom Martinho. And Defesa and EA have some interesting wines with real character. That’s among the reds. Alentejo whites tend to be sweeter or more floral or both, and all of the producers above offer decent choices. But we continue our search for a good dry crisp white from the region. For me, the mountainous Dão region offers that perfect balance between the refinement of Douro and the experimentation of Alentejo. Dão reds are somehow easier-going than the Douros yet possess a grace often missing from the Alentejos. There’s plenty to try, but few are under 5€. Quinta de Cabriz, particularly the Colheta Seleccionada, is the one that stands out. Spend a few euros more for a much wider selection of some of Portugal’s finest, including Casa de Santar, Flor de Viseu, and Flor de Penalva. The Vinho Verde region north of Porto is home to several great white grape varieties, including the sophisticated, usually dry Alvarinho. But typical vinho verde (green, as in young, wine) is frizzy, acidic, sometimes slightly sweet, and usually the most refreshing alcoholic thing you can imbibe in the summer. It’s fun, it’s cheap, and it’s easy, like some dates, which is why some consider it a lesser wine. Don’t pay them any attention. The best way to try vinho verdes is by getting around the region and trying the small local batches, often from bottles without a label. In Lisbon, meanwhile, you can easily find Muralhas, Casal Garcia, or Quinta do Minho for under 5€. For the more adventurous, seek out the Ponte de Lima tinto, a green wine that’s red, for a wonderful assault on most of your senses finished off with a lighthearted, non-committal buzz. Speaking of wine snobs, many look down on Mateus Rosé, but you don’t have to. It costs around 3€ in the store and rarely above 10€ at a restaurant and is a perfectly fine fizzy rosé for a hot summer eve, plus the bottle looks cool. Drink local! 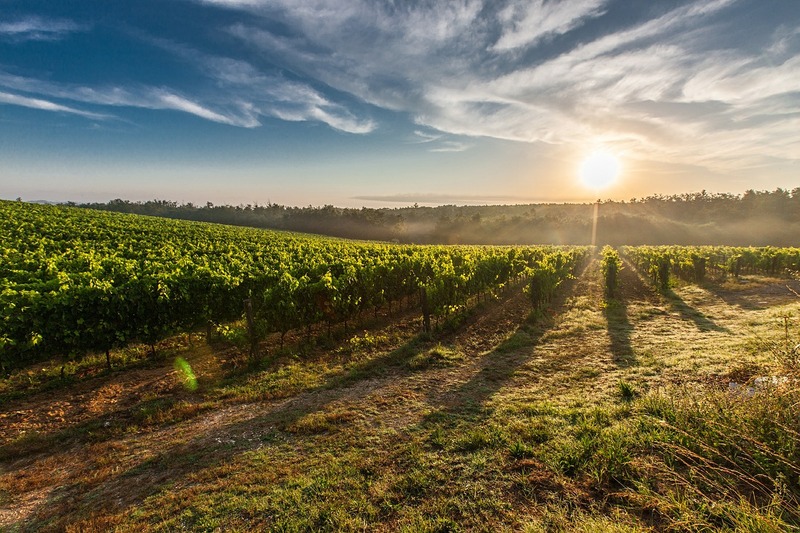 There’s a surprisingly large number of vineyards, some of them dating back millennia, within a short drive from Lisbon, including some of the finest, most balanced wines in Portugal. The ubiquitous JP and Periquita, as well as Quinta da Alorna and Pancas, are all good standbys among reds. They’re also good for whites if you like a bit more of a bouquet. Meanwhile, Cabeça de Toiro, Mula Velha, and almost anything from the well-run Casa Ermelinda, all between 5€ and 10€, are wines yo bring to a party with nice people. At first, it’s hard to associate the Algarve with wine production, but there’s plenty of it here. The best we’ve found tend to be whatever is the house red at the old typical restaurants outside the tourist centers of the region. Outside Algarve, try Lagoa Tinto or Barranco Longo. 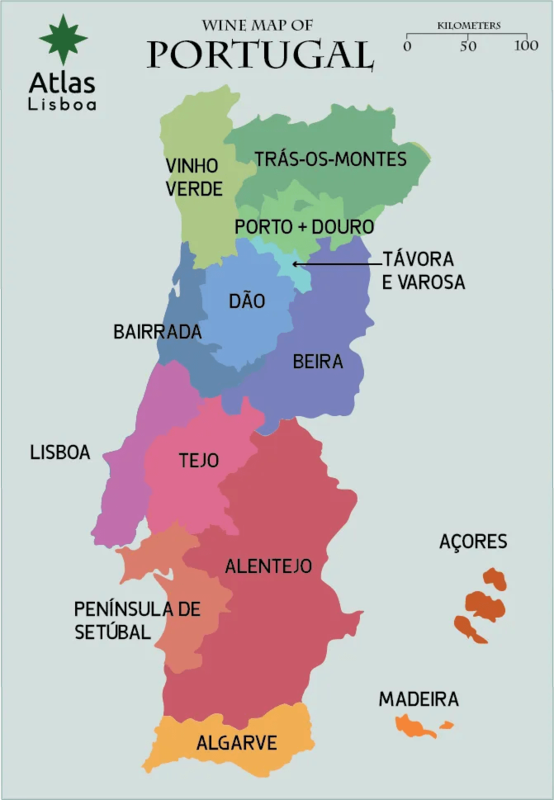 In Continental Portugal, Bairrada, Távora-Varosa, Trás-os-Montes, and Beira Interior are smaller wine regions, with much of that production staying local, going straight to the restaurants or people kitchen’s. Beyra, Frei João, Quinta do Cardo, and Caves São João have been our favorites: well-balanced, satisfying, good for dinner or sipping around the balcony. And if you’re a fan of the bubbly, Távora-Varosa is home to our favorite sparkling wine producers: Murganheira and Raposeira. We prefer the bruts, but even the sweeter ones are gratifyingly easy with the sugar. Ruby ports are the cheapest and most widely produced and typically don’t age very well. Don’t dismiss them even, however: rubies can offer a fine crisp start to a dinner. Tawny ports are aged in wooden barrels, giving them a darker golden-brown tinge and more complexity. They’re typically sweet to medium dry, and are normally best for dessert. White port, made from white grapes, is far rarer outside of Portugal, but is a fun drink on its own when crisp or as a base for a cocktail (think tonic water) when it’s sweet. Decent ruby, tawny and white port can be had for under 20€ at pretty much any store in Lisbon these days, including the ones selling I Heart Lisbon t-shirts. Unless it’s a ruby, stay away from spending less than 10€ if you’re not a pro. Burmester, Offley, and Ramos Pinto all have several good offerings, but our go-to has become Cockburn’s. Colheita, vintage and reserve ports, however, is where things get complicated — don’t buy these outside reputable wine stores, or at least until you try them. Let’s put it this way: you can spend 400€ on a bottle of 1977 port, a very good year. You could also buy a 1962 port from a bin in Garrafeira Nacional last year for 5€, a sort of lottery of ports. We poured ours into the beef stew after the first sip. It all depends on how they were handled and stored. Off the mainland, Portugal’s Madeira and Azores islands both grow grapes for wine-making. Azores wines are hard to find outside the islands, but Madeira makes a pretty important export: Madeira. Favored by pirates and American Presidents (coincidence? ), Madeira is port with attitude. Legend has it that Portuguese merchants used to travel with port in the hull all across the seven seas. Whatever they couldn’t sell in a few months, they’d dump into the ocean — the thinking went that all the shaking and rolling and heat and moisture probably ruined it. Then the merchants noticed that sailors were more than happy to take whatever was leftover, and Madeira was born. For a while there, that’s how it was actually aged: on a year-long journey aboard a sailing ship.